The great pyramids of Giza are the most famous pyramids in the world and attracts millions of tourists every year. They offer a mix of ancient history and grandeur that is unparalleled on earth. Some of these constructions date back as far as around 3,000 B.C. 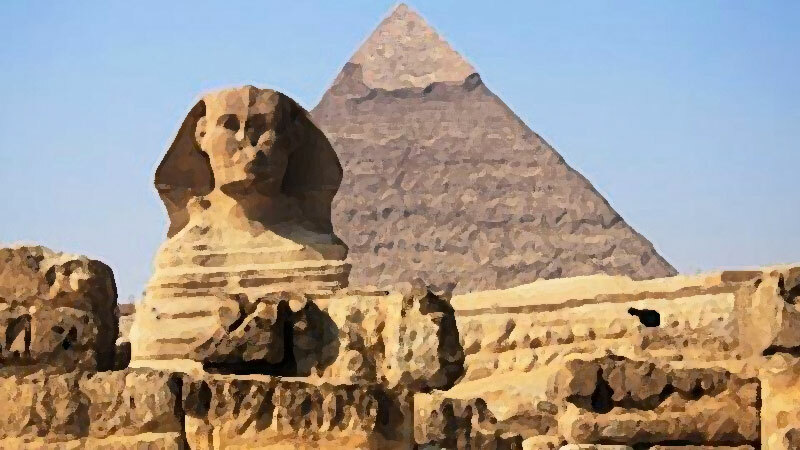 The Giza pyramids plateau, which is also home to the prestigious Sphinx, is a protected World Heritage Site by UNESCO. The entire pyramids complex was meant to be a fabulous cemetery for ancient Egyptian royalty and pharaohs. Pyramids were funeral monuments that pharaohs commissioned to honour their memory. 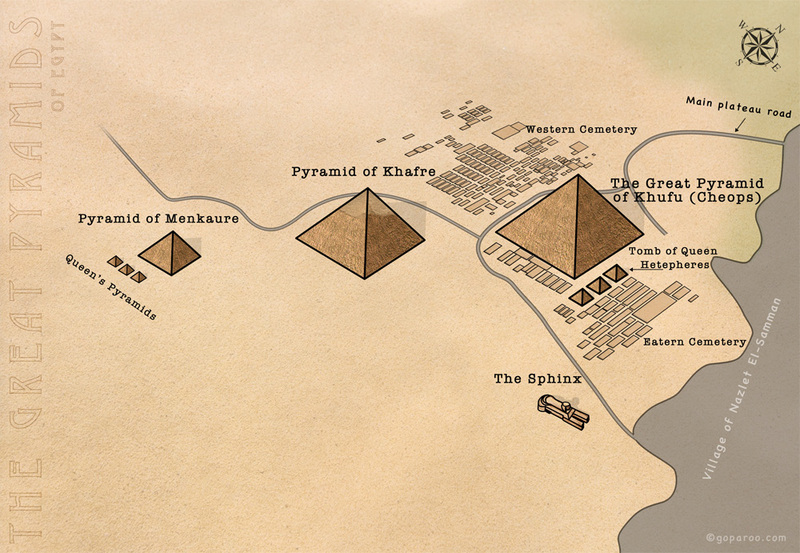 Many other tombs made for royal family members, surround the pyramids in different areas. The largest pyramids are made of millions of human-carved stone blocks which is fascinating considering the tools and means of that era. The pyramids were all precisely positioned and aligned so that every sides exactly face the earth’s basic coordinates (North, East, South and West) at a 90 degree angle. The Ancient Egyptian’s solar based spirituality appear to be behind the architectural choices made to build the pyramids. The largest pyramids had an outside limestone layer and a golden top that has been eroded and pieces stolen over the centuries. This originally made the pyramids sun reflective and appear even more glorious. Most pyramids also had intricate passages and chambers stretching deep within their constructions. The great pyramids plateau of Giza include the majestic pyramid of Khufu (or Cheops) which is the last standing monument of the famous Ancient Seven (7) Wonders. More than two millions human carved stone blocks were used to construct this pyramid. It possesses an interior passageway that leads to a royal pharaoh chamber.